Everyone relates to music differently, that’s a given. 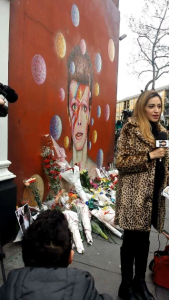 People from many different generations and walks of life have been giving their statements, which just goes to show how much of an impact Bowie had on more than just music. For example, my mother who barely speaks English, heard of his death as soon as I had as it made Arabic news. The Starman clearly had a worldwide impact. 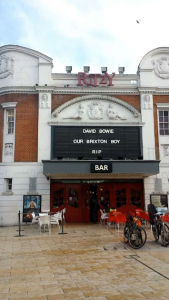 He was much more than a musician, a cultural icon and an artist in the truest sense. Draped in glamorous costumes, make-up and face paint as Ziggy Stardust, as Aladdin Sane, and every other alter ego, he shook and revolutionised the sound of pop music as well as the look. Photograph courtesy of Conor Lane. I would consider myself as an avid follower of music, but I’m not exactly a diehard Bowie fan, not to say I’m not a fan at all. However, it’s hard to follow most musicians without appreciating what he’s done and how he’s influenced the entire industry. So at the risk of sounding like I’m jumping on the bandwagon, I’ve decided to give my statement on the artist as well. The genius in Bowie wasn’t just his amazing song writing, it was his ability to seamlessly change with times, all the while sticking true to his quirky self to create great and sincere music. I can’t help but respect a guy that can abstract incomprehensible things like space travel into a sincere and human experience, all the while dressed in some crazy bit of clothing, portraying some equally ridiculous fictional character. Best of all, he did it during the 60s when everyone was paranoid and frightened of these concepts, as well as men in strange clothing. 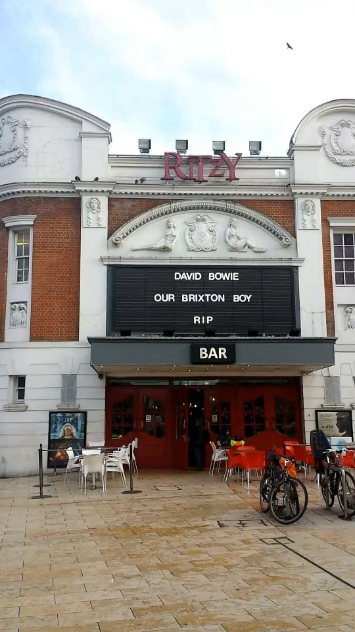 In my opinion, Bowie taught us to embrace what we don’t understand rather than fear it. I don’t think anyone actually understood who David Bowie truly was, what with all his strangeness, but he was still appreciated nonetheless. His death really was a shock, because he had changed his name and his look multiple times, he’d truly abandoned all sense of human character and transcended it all like a timeless alien. By far, the most outstanding statements have come from his fans, which seem to be celebrating his life more than grieving about his death. So rather than just quoting the numerous celebrity tweets, I decided to get some statements from some big David Bowie fans. Photographs courtesy of Conor Lane. 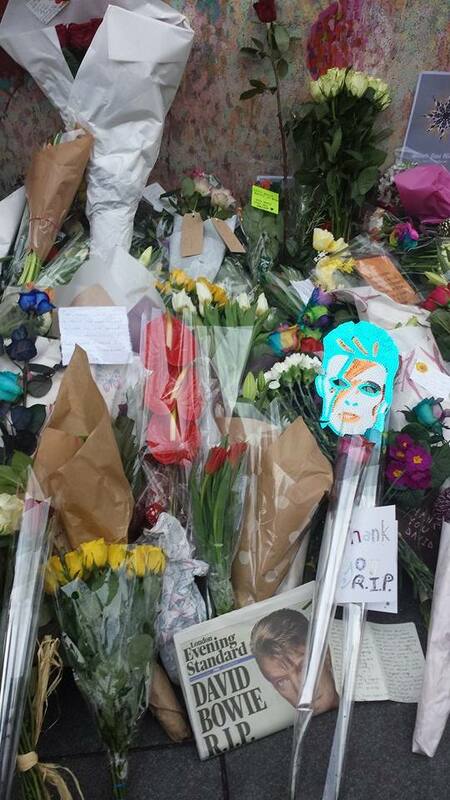 “Down at the mural there was a really sad and respectful atmosphere. A lot of people openly crying and stuff, which was kind of nice. 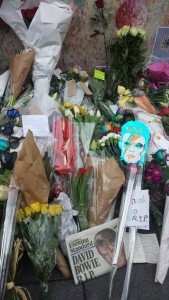 People streamed along all day to leave flowers and thank you notes. – Conor Lane (Conor has been staying in London and payed a visit to Brixton London). The man was a powerhouse when it came to his career, working till his final days. 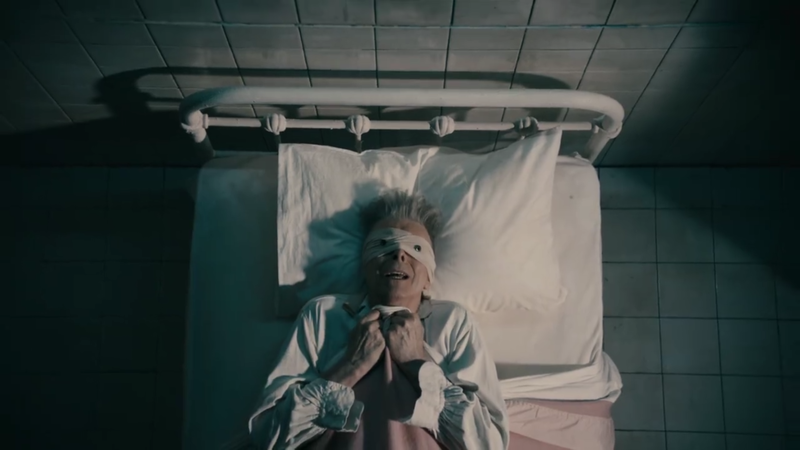 It was only 2 days before his death he’d released his latest album ‘Blackstar’, which did not disappoint. Consistent greatness, that is what David will be remembered for. So to finalise David Bowie, musician, performer, actor, artist, cultural icon, alien, starman and blackstar passed away at the age of 69 on January 10th 2016. Previous Previous post: Ireland, Britain and the EU: A Marriage or Divorce of Convenience?